This bright, spacious 3 bedroom (non-HMO), second floor flat, comes complete with original period features and The Meadows right on your door step. Just a few minutes minute walk to the University of Edinburgh and a 10-minute bus journey to the heart of the City Centre. 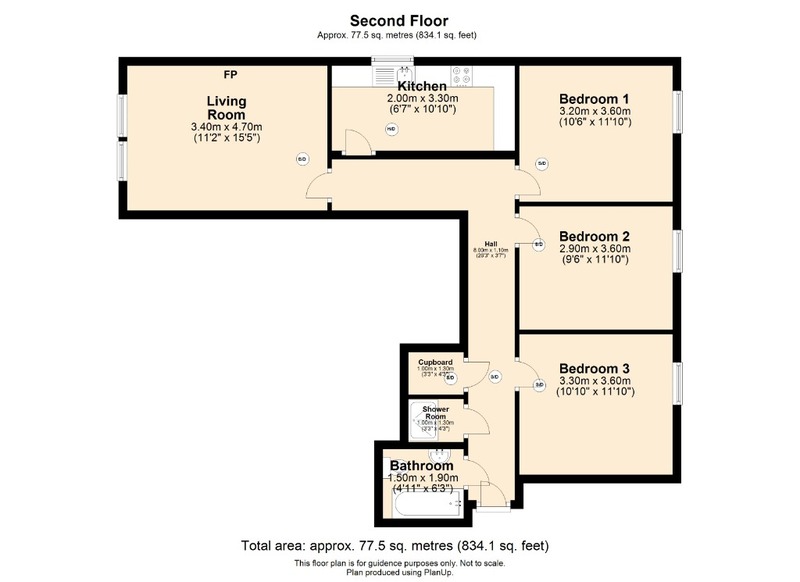 PLEASE NOTE: this property will become a 3bed HMO flat from July 2019 and the rent will increase to £1800.00 from July. This property is set in a quiet corner block, looking directly onto the meadows. Based on the second floor of a well-maintained communal stair well. There is a shared back garden area too and a massive one to the front of the property, The Meadows! When you enter this property, you are met by a long ranging hallway with large mirror bouncing light around the walls. There is a bathroom on your left, modern and bright with shower over bath. Next on your left is a shower room set in a cubicle with modern shower, next door to this is a large storage cupboard. On the right as you enter the property is the first of the 3 double bedrooms. All bedrooms are similar in size with modern new furnishings. All three rooms are flooded with sunshine (when the sun decides to come out). Along the hallway you have a separate kitchen and living room. The kitchen is modern with integrated fridge freezer, washing machine, electric hob and oven, plus lot of unit space. The living room is a great social space, ideal for having a few friends round for a glass of vino and enjoying a game of trivial pursuit (Question: is it cheese or cake slices?). The livingroom is flooded with light and looks directly onto the impressive meadows, a really great space in a fantastic property. This property is a must see. This property is set in the Marchmont area of Edinburgh, south of the city centre. The Bank of Scotland, Scottish Widows Standard Life and some of the city’s main legal firms are also within the modern business district of Tollcross which is within short walking distance. A range of shopping and banking facilities are located on hand including the fashionable fruit market at Argyle Place. Neighbouring Bruntsfield, Newington and Morningside offer a larger and alternative choice of specialist shops, with the city centre also within close proximity. There is excellent schooling including James Gillespie’s Primary and High School, fee paying schools such as George Heriot’s and Merchiston are also nearby. For further education, Edinburgh University is within walking distance. Leisure facilities are varied and include the Meadows which have attractions and outdoor pursuits all year round, excellent restaurants and bars, the Odeon Cinema and Festival Theatre. Warrender Leisure Centre and swimming pool is a couple of minutes’ walk away, and the newly renovated Commonwealth Pool is a short drive away. Bus services operate on a regular basis to and from the city centre and to the surrounding areas. PLEASE NOTE THIS PROPERTY CURRENTLY DOES NOT HAVE AN HMO LICENCE SO IS NOT SUITABLE FOR MORE THAN TWO UNRELATED PEOPLE SHARING. THERE WILL BE AN HMO LICENCE IN PLACE FOR JULY 2019 SO THE RENT WILL BE INCREASING TO £1800 TO REFLECT THIS. Council Tax Band: E EPC rating: D. Landlord Registration Number: 956308/230/15111 and.